We’ve looked in the past at the original Lamborghini SUV the “Rambo Lambo” but it seems that wasn’t the last time they went for such a vehicle. The Urus SUV looks to be every bit of a blockbusting machine as its predecessor. Lamborghinis typically use naturally aspirated V10 or V12 engines, but for the company’s upcoming Urus SUV, it looks like something different is coming. Autocar reports that Lamborghini’s CEO Stephan Winkelmann and head of research and development Maurizio Reggiani? have both confirmed that the Urus will forego natural aspiration in favor of turbo charging. Specifically, the Urus will be powered by a 4.0-liter, twin-turbocharged V8. Earlier this month, Winkelmann suggested to R&T that the Urus would be turbocharged, but we now have confirmation and a few more details. “We decided that a turbo for a super sport SUV is the best choice. The engine must be light and powerful and with the capability with this torque at low revs to allow the car to be ‘elastic’ in every type of condition,” ?Reggiani told ?Autocar. 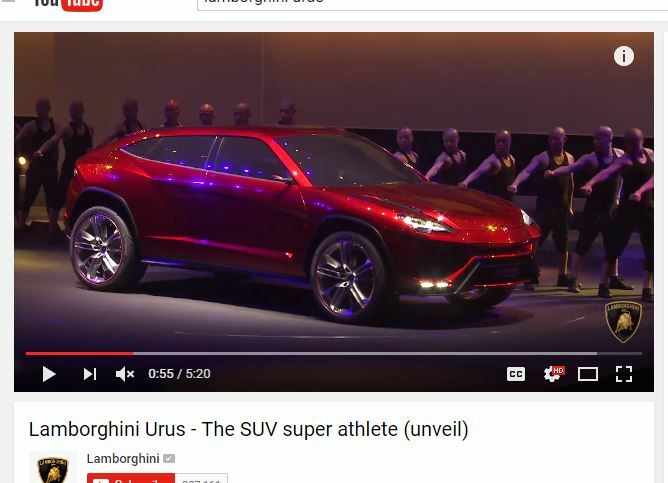 Despite Lamborghini being part of Volkswagen Group, the V8 used in the Urus is being developed specifically for Lamborghini and isn’t borrowed from Audi. “This engine is not used by anybody else, only for Lamborghini. To be the most powerful in the class it must have something that is dedicated to our brand. It must be able to produce the right amount power and torque, but do that in conjunction with the right transmission and chassis control that makes it a true Lamborghini,” Reggiani said. 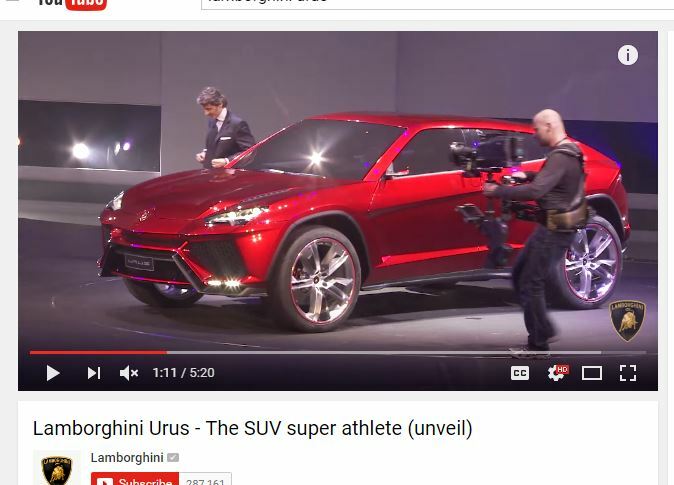 If you’re worried that the Urus will dilute the brand, Winkelmann says he disagrees. “It will be a true Lamborghini because it will be the fastest among the SUVs. We will have the most powerful engine and will have the car that is going to be a real super sports SUV. It has to keep the balance between matching the DNA of the brand, that is being a car that is really drivable and also have a lot of off-road capability, but the driving on the roads is much more important.”? Lamborghini has told several media sources that its planned SUV, the Urus, will go on sale in 2018. It will be powered by a 4.0-litre V8 twin-turbo rather than the V10 or V12 engines currently used in the Huracan and Aventador. Lamborghini’s SUV, which was first revealed at the Beijing Motor Show in 2012 as a concept car, will go up against the likes of the new 187mph Bentley Bentayga in the super-SUV stakes. Speaking to Auto Express, Lamborghini CEO Stephan Winkelmann confirmed that the Lamborghini SUV will use a turbo-charged engine but said the firm’s two supercars will not make the leap to forced induction just yet. “For the super sports cars, the best is still naturally aspirated, without saying we will always be like this,” he told the magazine. Asked if Lamborghini will eventually produce hybrid cars, Winklemann replied that it is something they are thinking about, and if they were to introduce hybrids to the range, it would be via the upcoming SUV. He added that a prototype of the vehicle exists, with updated bodywork from the 2012 concept. Lamborghini has flirted with electric power very recently in the form of the Asterion, a 900bhp Hybrid supercar concept shown at the 2014 Paris Motor Show. SUVs are becoming a popular way for sports and supercar manufacturers to generate cash to help pay for the development costs of the faster, lower-volume models, and maintain a steadier customer base. Lamborghini hopes that, when the Urus is introduced in 2018, it can double their current sales figures from just over 3,000 this year to 6,000, claims Autocar. The magazine reports that Winkelmann says the Urus is a high-investment project for Lamborghini, and it is crucial that sales of its current cars remain stable during the development and manufacturing process. Lamborghini will double the size of its factory in Sant’Agata, and add up to 500 new jobs, such is the scale of the Urus project. Top Gear expects the production Urus to debut at the 2017 Frankfurt Motor Show, and explains that an interview with Lamborghini’s R&D head Maurizio Reggiani reveals the decision to use the turbo-charged V8 comes from the torque requirements needed to make the Urus a proper off-road vehicle. 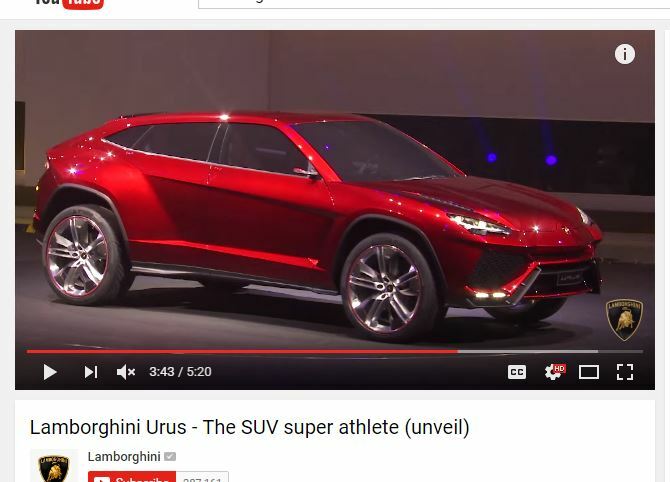 The Urus will not be the first SUV to be manufactured by Lamborghini. Between 1986 and 1993 they made the Hummer-inspired LM002 ‘Rambo Lambo’, producing 328. The company still has some work to do to get the Urus ready for production, but you can expect that version to be revealed in late 2017 or early 2018.